What could be more deliciously refreshing than a Bellini in the spring or summer? ndulging in one of these classic fresh puréed white peach and Prosecco cocktails on Venice Tours in northern Italy, the place where this mixed drink was invented, or a wine tasting of fine Prosecco vinos produced here. Italy vacations that include a sojourn in Venice and small group Venice day tours to show you secrets of the historic Veneto wine region will romance the soul, captivate the senses, and enchant you with rich culture and warm hospitality. As you might expect, this verdant landscape in the valley north of Venice is at its most stunning in spring and summer. Here vineyards cultivate the Glera grape, which is more commonly known now as the Prosecco grape and does exceptionally well in the mild climate. Exclusively in this northern region local wineries use time-tested wine-making traditions to produce the sparkling white wine that has become more refined with delicate aromas, light taste and full flavours, and fine bubbles. No longer is Prosecco considered only for pairing with white peach purée in a Bellini. Just a short drive from the rich history found in the city of Venice, travellers who take Avventure Bellissime’s small group Hill Towns of Veneto Trip will explore enchanting Medieval Marostica, Bassano del Grappa, and Asolo at an unhurried pace with expert licensed guides. Winding through the countryside on back roads, your small group tour gives you ample time to relax and explore each stop. Your guide will weave together tales of history and culture and point out the significant architecture along the way. In Marostica you enter the streets of a fortified castle on a site that was once under Roman rule. This is a lovely village for a stroll and if you time your visit just right you may even find some fresh local cherries for sale. In the main square there is a popular life-size chess board that can be played with people in the place of each chess piece. Here, each even year in the early fall, a play written just after the Second World War is enacted that chronicles the story of two noblemen who fight for the hand of the lovely Lionora with chess determining the victor rather than a duel. After the game is played on the square’s giant chess board, all the actors and villagers enjoy some revelry with music and dancing. 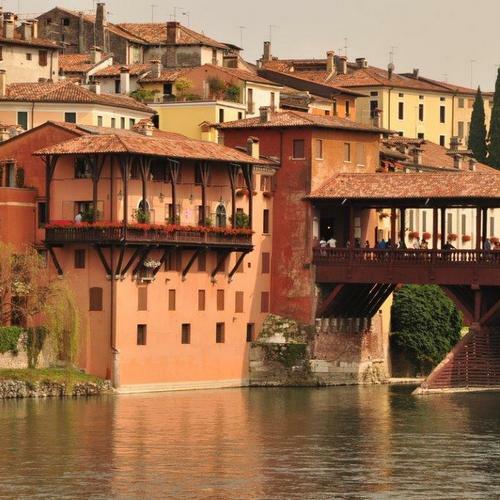 The next stop is Bassano del Grappa, as picturesque as it is poetic. Bring your camera to take some stunning photographs of the wooden Palladian bridge that spans the Brenta River, which was rebuilt in its original style after it was destroyed during World War II. This ancient city is full of charming buildings and squares and offers breathtaking views of the mountains and endless sky. As you browse through shops and meet the local artisans, watch carefully for the renowned ceramics crafted here for centuries. The last stop is the hill town Asolo, truly the jewel of the Veneto region. This exquisite town is comprised of a stately fortress, Renaissance palaces, grand villas, and well manicured gardens - all every bit as stunning as the views in every direction. It doesn’t take long to understand why Asolo has earned the nicknames the pearl of Veneto and the city of a hundred horizons. Enjoy a peaceful lunch at a typical trattoria before visiting a Palladian country house privately owned but open to the public. 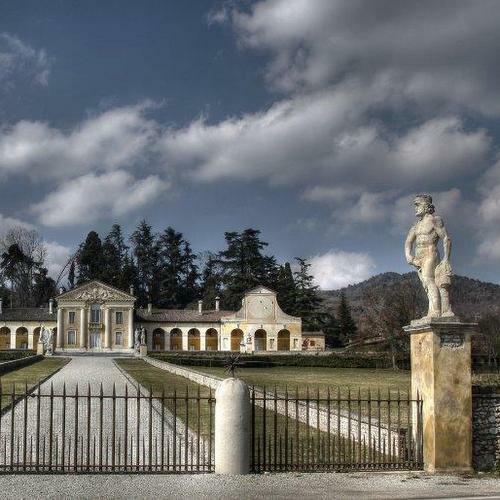 Depending on the day and visiting hours, travellers will enjoy walking through either the Villa Barbaro, designed by Andrea Palladio which features frescoes by Veronese, or Villa Emo, also designed by Palladio and boasts frescoes by Zelotti. 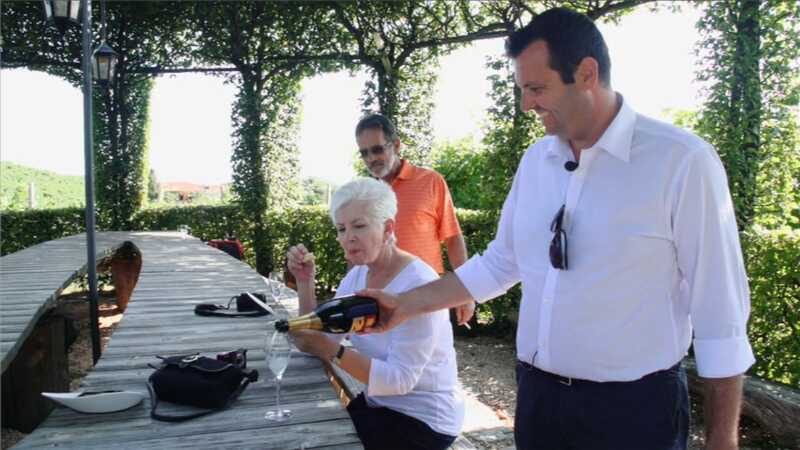 Naturally a day spent exploring the Prosecco wine region would not be complete without enjoying a wine tasting at a local winery. 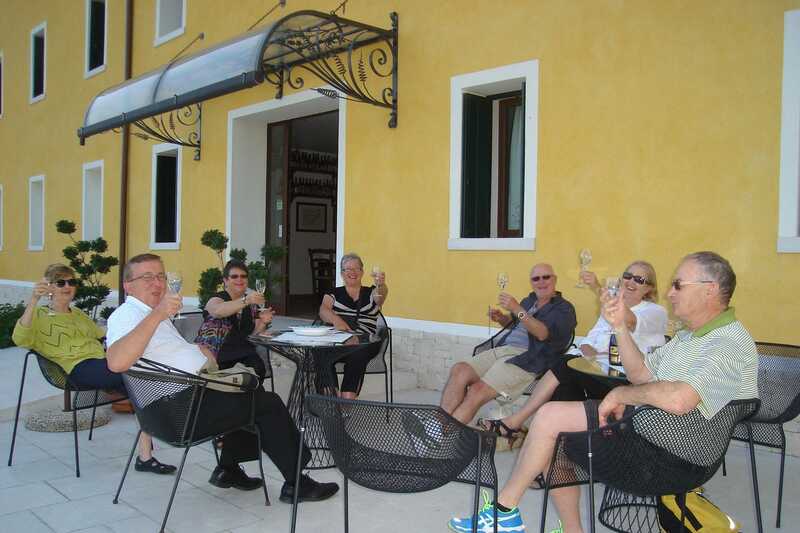 Ready for a small group excursion into the Hill Towns of Veneto? Contact us at Avventure Bellissime for details about our Italy vacation packages or Italy tours. You will see why our consistent rating of four or higher out of five by clients on TripAdvisor earned us a 2013 Certificate of Excellence from TripAdvisor.